Chief Lynch is back and this time he is looking for missing 6-year old, Cody Forrand. In a blizzard no less. Time is key as Cody has a rare disorder called CIPA and can't feel pain, which puts him in harms way at every turn. Not only does Lynch have to find this boy, he has to do it while dealing with the backlash of coming out to his entire office. Prank calls, vandalism and veiled threats pepper his days and now he's on a mission to find Cody and the vandals. From book one to book two, we see Lynch grow from depressed new Chief of Idyll to a more determined person in every aspect. Dealing with all the prejudice while still trying to do his job can be a formidable task. I enjoyed seeing him make his way through each predicament in his snarky fashion and felt vindicated when he was. I still think he makes some stupid mistakes, but that seems to be within the realm of his character so I just go with it now. 😁 Although I do think he still needs to think with the right head in certain given situations. Luckily things start to look up for Lynch in all departments. Still loving on the humor riddled throughout the book. Another mystery solved and pieced together nicely. Further character development settles you into each person so you want to continue to learn about them in upcoming books in this series. While I did think there were a few things left hanging, it didn't detract from the feel of the book. The ending, like with the first, leaves you with just enough of a dangling carrot but still completing the book as a whole. Fans of police procedurals that re light on the procedure and heavier on the police will love this series. Here we are with book 2 in the Thomas Lynch series! IDYLL FEARS by Stephanie Gayle continues the story of Police Chief Thomas Lynch in the small town of Idyll, Connecticut. Lynch is faced with a new mystery to solve and a child to save, all while dealing with a crime wave sweeping Idyll. Just before Christmas, 6 year old Cody Forrand goes missing. Cody has a rare genetic disorder that can be life-threatening as he can't feel pain. In the middle of winter with a snow storm, he could be in grave danger. Lynch has an uphill battle with his fellow investigators as he tries to solve the case. He must call in reinforcements to help, so the FBI now becomes involved in the abduction case. While this is going on, Idyll is experiencing a crime wave. Lynch finds himself to be the target of prank calls, hate speech, and he suspects it's all started by a coworker. Now he must try to stop the crime wave AND find Cody before it's too late. 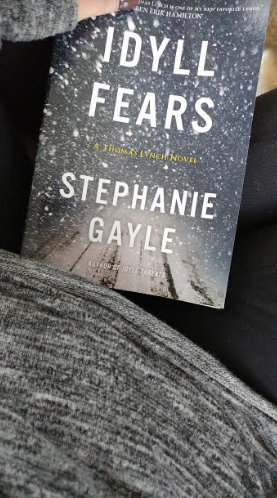 Once again, Gayle does a phenomenal job with this police procedural. It's not too heavily focused on the investigation to make it too technical (I know that can lose a lot of people and drag on). We get to learn more about Thomas as a person and the struggles he is now facing. Trying to find Cody is the main focus of this novel, but the subplot of the crime spree doesn't take away too much or feel rushed. A solid continuation of this series and I really hope that she continues with Thomas Lynch! Overall, I loved the further character development and the investigation kept me flipping the pages. It's refreshing when a series is solid throughout since many can fall flat. 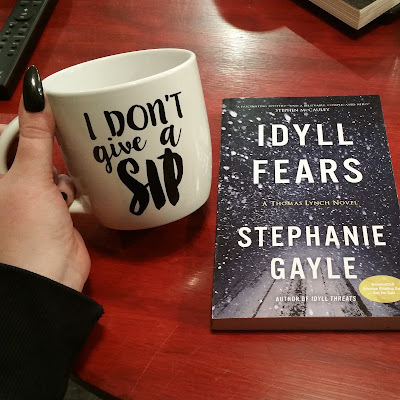 If you want a good suspense with a unique main character, then I recommend grabbing book one (IDYLL THREATS) and diving into this series. I read so many novels, a majority of them being police procedurals, and I find that many of them feel the same. Same old jaded detectives, same old love interests. Which is why I was so pleased when I read Idyll Fears, the second novel in the Detective Lynch series. What a breath of fresh air Thomas Lynch is. An openly gay police chief is not something I am used of seeing in a police procedural novel and I was so pleased to be able to read a story that featured a character like Lynch! 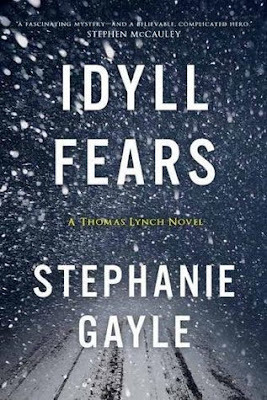 Although this book is the second in a series featuring this dynamic detective, I had no issues reading this one as a standalone and found that Gayle did a phenomenal job at making sure enough of Lynch’s character was brought into the plot for those joining in. This story follows the race to find a missing six-year-old boy who wanders out into a snowstorm. With a rare genetic disorder that makes it so he cannot feel pain, there is a serious race against time to find the boy before it is too late. 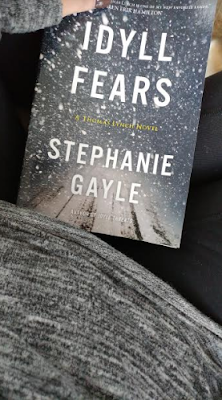 I was pretty much captivated right away by Gayle’s prose and found it easy to settle into the story. I did find that were a lot of secondary characters (mostly others on the police force and members of Idyll) that I found very confusing. I’m not sure if that was because I wasn’t introduced to them in the first book or just because there were so many; I did find that a little bit distracting but it didn’t really take away from the general plot. Overall, I think this series seems to be worth looking into. I’ll likely go back and read the first! Big thank you to Seventh Street Books for these copies in return for our honest opinions.